Since 2004, Big City Moms has been connecting brands with new and expecting parents across the country. 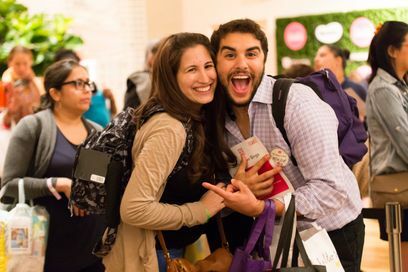 We offer our partners extensive marketing opportunities across our social media channels, influencer campaigns, local events, and our signature The Biggest Baby Shower Ever™ and The Biggest Family Shower Ever national event series that attracts a sold-out crowd of new and expectant parents. To become a partner with Big City Moms, please complete our New Partner Form and someone will get back to you shortly. For any additional questions please email casey@bigcitymoms.com or call 929-285-3605.